Kom BJJ trainen bij onze school in Den Haag, 7 dagen per week! 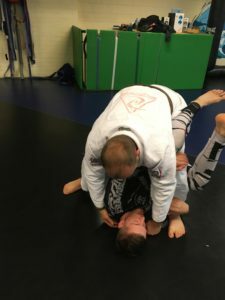 BJJ beginners lessen, ochtend BJJ training, wedstrijd / competitie training, BJJ drills training, BJJ open mat sessies, takedown les en uiteraard normale BJJ les. 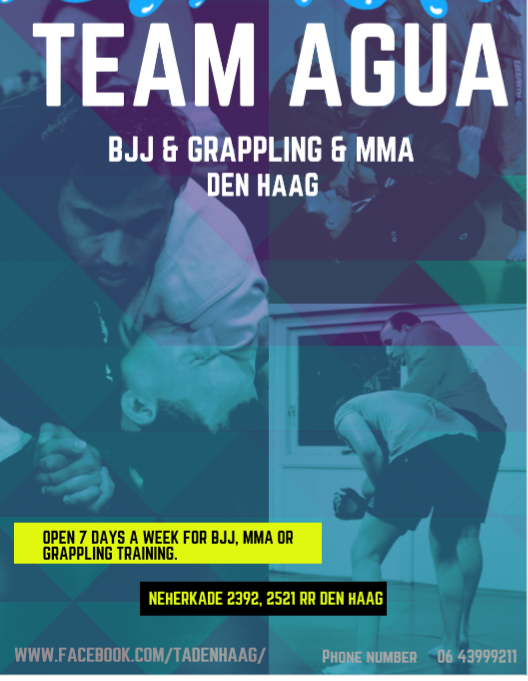 Daarnaast zijn er ook de hele week door Grappling en MMA trainingen! Yesterday some students were promoted to a higher rank. Purple belt: Edwin, Jordy, Rodrigo and Dawid. These guys really deserve it! Between X-Mas and NYE there will be no regular classes. There will be some open mat session though. Marco Kwee & Max Geerts were promoted to black belt BJJ during the seminar from Vagner Boca from Brazil. Both have been training over 10 years and really deserve it! Besides the time and effort put in, they are still improving and really passionate about jiu jitsu. We’ve added an extra BJJ class to the schedule of our school in Amsterdam. From now on we will train every Sunday 13.00-14.30. So sleep in and then make your lazy Sunday usefull !! During the month of August (2018) BJJ & Grappling training will be at the Schiedamse Vest 188, Rotterdam. 5 minutes from our regular location, next to the Witte de Withstraat. Lots of medals for Team Agua at the Den Haag Open BJJ & Grappling! Lots of medals for Team Agua at the Den Haag Open BJJ & Grappling. We went with competitors from Den Haag, Rotterdam and Amsterdam. Every school got medals at different levels; from white till purple, from light to heavyweight, from BJJ to Grappling. Up to the next! 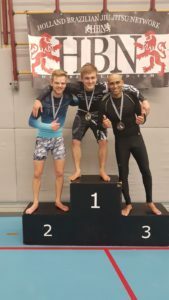 Team Agua results at the Rotterdam Open BJJ & Grappling. 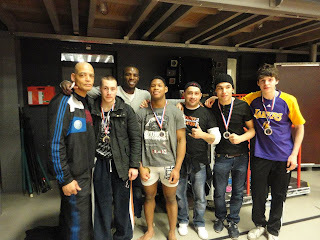 Lots of medals for the team at the Rotterdam BJJ & Grappling Open! Seth & Bas with their hardware. Alwin gets another gold medal. 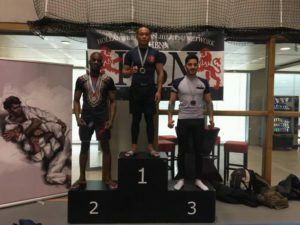 Li wins silver at the Rotterdam Grappling Open. Ozcan faced these two giants and won gold. Petr made his comeback and took the gold. Seth, feeling hungry after the weight cut. First tournament of the year is the Rotterdam BJJ & Grappling Open. We will be present with team members from Rotterdam, Amsterdam and Den Haag. 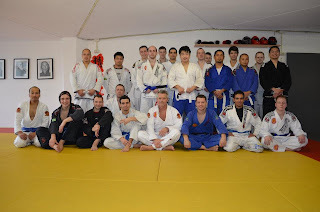 Check out our 3 videos from the BJJ class at our academy in Amsterdam. The first one is an HD promo video where you can see how our training and team rolls. Second is a short impression of the takedowns sparring, third was shot last month during during BJJ class on Tuesday. Happy New Year!! 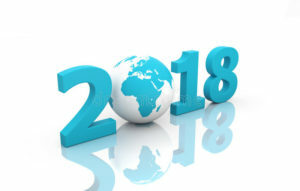 2018 Here we come ! Happy New Year!! Our classes have started after a week lay off. Come and train BJJ or Grappling at one of our schools in Amsterdam, Rotterdam or Den Haag ! 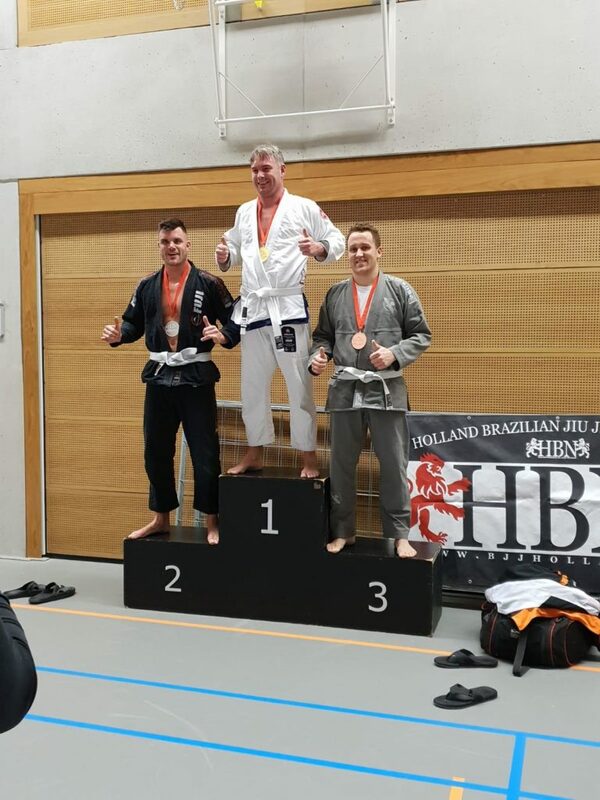 Steve wins silver at the Amsterdam Open! The Amsterdam Open is an annual BJJ & Grappling tournament. 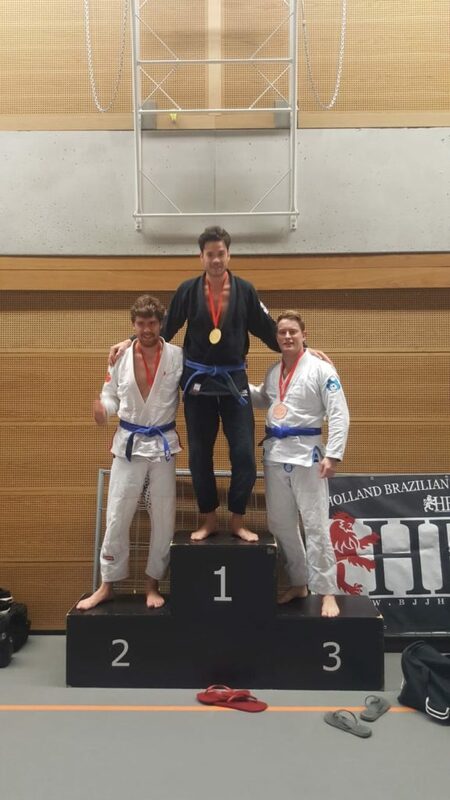 From our Den Haag BJJ & Grappling crew Steve won the silver medal in Amsterdam despite being sick the whole week! 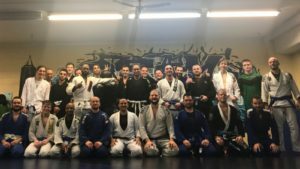 Interview with BJJ black belt Vagner Boca! Why did you start training BJJ and what’s your training background regarding BJJ, Grappling and other martial arts? I knew some guys who were training and they invited me to train with them. It was more no gi and vale tudo(old school MMA), so for a long time I did more no gi and vale tudo, I liked it very much now with gi and rules i love it!! What kept you motivated during so many years? Because I know that I don’t know everything and I never will, so there’s always something new. What influence did BJJ and your experience on the mat have on your everyday life? I think that if can face someone on the mat in front of so many people, you can do everything. I always say to the students’ parents to put them to compete, they will learn how to control better themselves in a hard situations. What are your activities besides Jiu Jitsu ? In this moment all my time goes to teaching bjj and for to kids, but I still like to compete. If I’m going to compete, I lift weights and run on big stairs close to my house. What is your opinion about the different rules and federations? Do you prefer points or submission only? Submission only is not popular in Brazil yet, so we have big influence of the ibjjf there, but what I hear about submission only rules, I prefere points, it seems fair. Do you have favorite techniques and positions and why? I don’t have a favorite because I have been teaching so much that I try to understand all games, to see what’s better for each student. I’m more a teacher than a fighter for since last 10 years. How did you manage to handle the injuries? This can be very demotivating. This is very demotivating, but most of the time they are our mistake. We don’t stop in the beginning of the injuries. What you can do is stop and take care of it. We have to respect our body and understand when we need to rest. What is your vision on how jiu jitsu is developing (oldschool vs newschool)? I think the new school is the old school improved, without old we would not have the new school, but some people for some reason, I don’t know why, closed their eyes for the new ways to train and fight. Bjj now is so much more fun with guys creating new ways to fight and new techniques. Any tips for beginners? What should beginners focus on ? They should learn how to stabilize a position, get good posture and keep focus on basics submission like triangle, omoplata, armlock. And it’s also very import to learn half guard. Can you give us your view on fighting with or without the gi. Is one more important or do they simply complement each one? I think both are nice,but i prefer training with the gi. 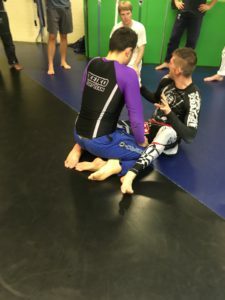 i think it’s more technical, but I think no gi you really learn how to control de positions using your weight, I think with gi you get a faster mind, but sure no gi helps the gi game. What were the most important revelations in terms of understanding the game and how did they improve your skills? I think you really need to study the games to understand how it works. Even if you don’t like it you should train for some time. if you know how it works you’ll know how to defend and prevent it. What is their favorite pre-/post training meal? Do you do any other things specifically to improve your performance in Jiu Jitsu, such as Yoga, Cardio training, Rope climbing? I think you must have someone who really understands about a workout. you need to know how much you should do something. for me lifting weights is the best, I don’t like it but I had the best results with this. How is your training preparation for a tournament? Now I’m 38, so I try not to train too much. i try to train smart; do more drills and specific training. Why do most practitioners choose to not do tournaments after earning their black belt? Because they think that they have to prove something when they are black, but they do not, they should try to keep improving, in other way some try to grow the own team and get more classes, so maybe to busy to prepare for competition. Who are your role models in BJJ and Grappling? Terere is the man who most influenced my jiu jitsu. I like different things from different guys, but for me the best is Rafael Mendes, I like cobrinha, Lo, frazzato, Galvão, lepri, Langhi there are many good guys that you learn so much from. What are the most important things to make you a good fighter? First is to be humble. Look for the guys that are better than you, listen to the coach and do a lot of drills. 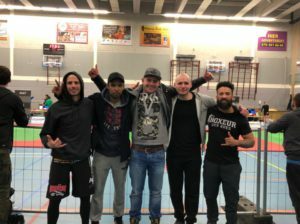 Team Agua fighters went to compete at Nijmegen for the annual Dutch Open BJJ. They brought home some hardware. Robert with the bronze medal. Martin with the silver medal. Last Friday Maxime Soucy MMA Fighter from Tristar gym in Canada showed us some very nice techniques @ Team Agua Den Haag. Transitions during MMA class and during Grappling ‘modern’ heelhooks a la Danaher Death Squad, which his team is linked to. Keep on learning and improving! It’s competition season, some of the guys are preparing for the Dutch Open BJJ and Amsterdam Open BJJ & Grappling. There are also total beginners that just started their jiu jitsu journey. Well,… journey…some of them will stop in December. It’s always hard to tell who will quit and who will persist. Time will tell…we just train hard, have fun and evolve ! 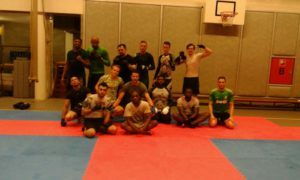 We started two weeks ago with MMA class in our Rotterdam Centrum school, Josephstraat 10. The guys were very excited and trained hard. So from now on, it will be every MMA every Friday. We plan to add another day soon, if the attendance stays high enough. Come and join the MMA class with Rotterdam’s finest 😛 ! The preparation has started for the Amsterdam Open BJJ & Grappling 2017 & the Dutch Open. As always we will be present at these annual events. Lots of medals for Team Agua @ Submission Only BJJ & Grappling in Den Haag! Last weekend, 8 October, there was a Submission Only BJJ & Grappling tournament in Den Haag. For the first time, no points but only Submission was valued. Good performance guys! Next up is the Dutch Open BJJ and after that the Amsterdam Open BJJ & Grappling in November. New season has begun and we will expend our class schedule. In Den Haag starting this Friday there will be a MMA class taught by James Verschuur from 18.30-19.30. For those who still have energy left; the Grappling class at 19.30-21.00 will continue as usual. You can rest in between the MMA and Grappling class and enter when you are good to go! Also don’t forget the Thursday 7:30 AM class !! Our BJJ & Grappling school in Den Haag has added an extra class and training day to the schedule. Igor Braniste, BJJ brown belt, teaches on Thursday morning at 7:30. Gi or No gi. 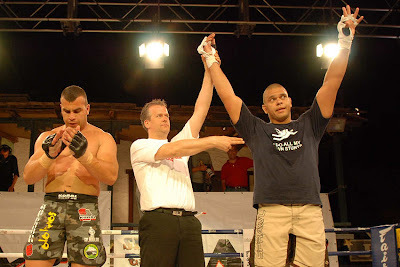 Igor (brown belt) and Ozcan. Start the day training jiu jitsu. Take a shower and head off straight to work or school. You can shower at the academy. If you have to leave earlier, because of your schedule, this is no problem at all. At all of our classes you can come and leave whenever you like, the open mat and regular night classes included. 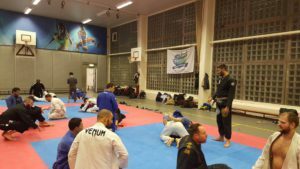 The annual Rotterdam BJJ & Grappling Open was held this month. It was a tough tournament with mostly Dutch competitors, but also some people coming from Germany, France, Finland, Belgium and Ireland to compete. 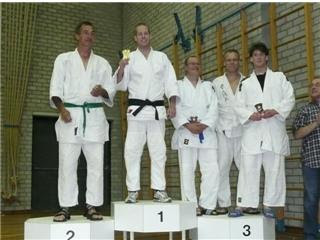 Daniel, who trains in Den Haag, got the silver at White Belt -70kg, in what was only his second tournament. 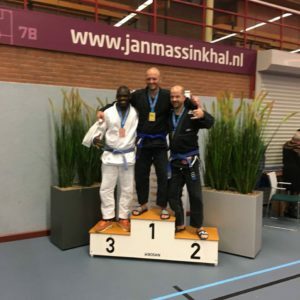 Amu, from our Rotterdam school, won a silver medal at his first BJJ tournament ever. 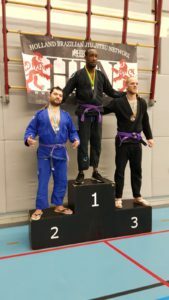 Ozcan, from our Den Haag BJJ academy, managed to get silver at his debut as purple belt. 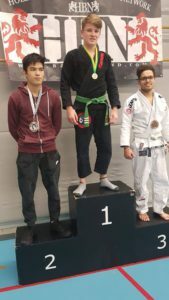 At the Rotterdam Grappling Open, Patrick (who trains in Amsterdam) made his comeback after two years without competing. It seemed like he had never left. Winning the silver medal in a category with a lot of good fighters, and in the process tapping out a black belt. Kelly has been on lately! After winning silver at the BJJ Europeans in Lisbon, now the golds are coming in. She won the ADCC grappling tournament in Amsterdam. And last weekend she won gold at the Rotterdam Grappling Open. 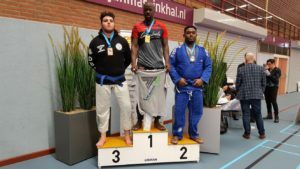 Our competitors went to Rotterdam to compete at the BJJ Open. We managed to get the title of best team. From the Den Haag Team Agua branch Nick and Ozcan medalled. Nick Pavlov won at Gold at heavyweight and Ozcan bronze at medium-heavy, both in the blue belt division. 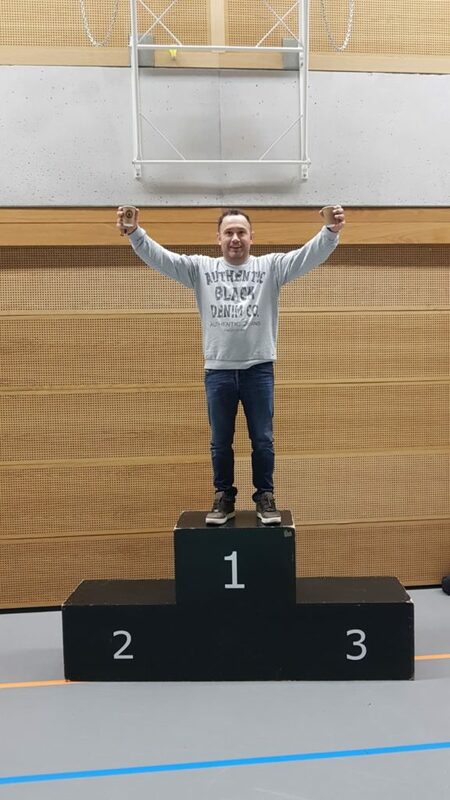 Eelco Schippers won the Dutch Grappling Championships! 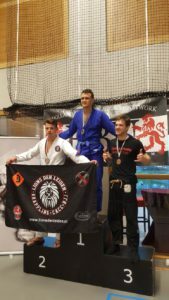 Eelco competed in the heavyweight division of the Dutch Grappling championship and submitted 4 opponents to get the gold! 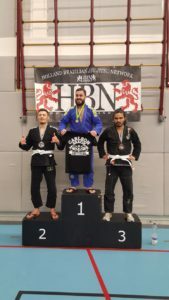 Great result at the Den Haag BJJ and Grappling Open! Amir gets bronze in the Advanced Grappling competition in WbD! Amir Sheikhosseini a strong grappler with a judo and wrestling background, represented Team agua (BJJ Amsterdam) in the biggest grappling competition in Holland. The gold medal was close, but a small mistake made him end up with the bronze. Amir helps us out with wrestling and judo takedowns during the BJJ and Grappling classes. Congrats! 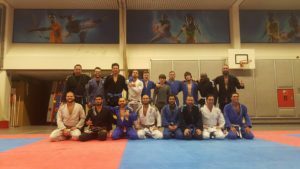 The competitors from Team Agua in Den Haag, Rotterdam and Amsterdam are preparing for the Den Haag BJJ Open and the Den Haag Grappling Tournament 2016. The competition starts with BJJ in the morning/afternoon and will be followed up by Grappling in the afternoon/evening and attracts a good number of schools and competitors from the BJJ scene as well as the Grappling/MMA scene. Kelly Kilarciyan went to Lisbon together with Simeon Rutges to compete at the annual European Championships. This edition was the largest BJJ competition ever with more than 3500 competitors. Such a strong tournament and such a great result, she made us proud! Start training BJJ in 2016 at one of our schools in Amsterdam, Den Haag or Rotterdam ! 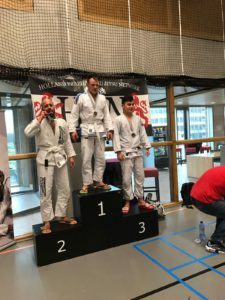 The first BJJ tournament ever to be held in Rotterdam. We won the title for best team. Check out this cool promo video of our team! 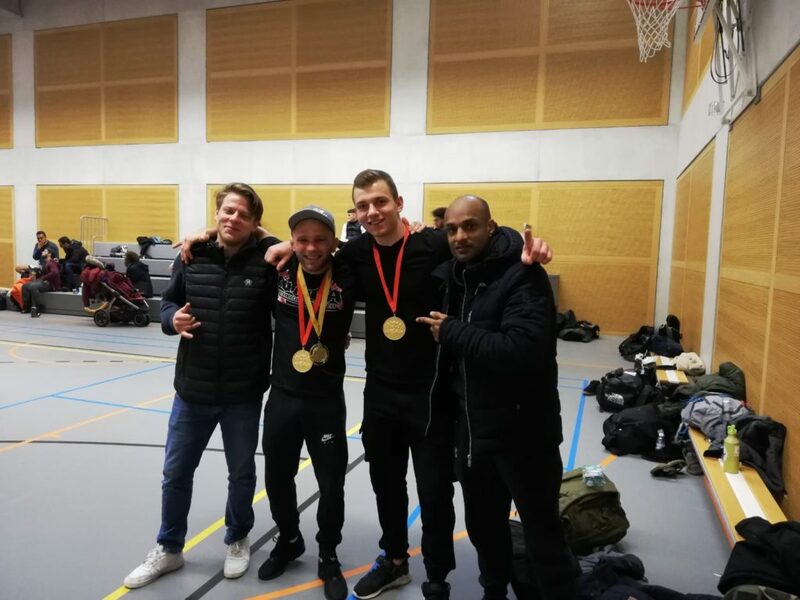 We were present at this Grappling tournament with a small group of competitors from Amsterdam, Rotterdam and Haarlem and managed to win the ‘Best Team’ title! Next up are the BJJ Dutch Open and the NK Grappling on October 10th. We have opened a new school in Rotterdam South. A new sports facility with free parking spots and walking distance from metro station ‘Zuidplein’. Kenan Bajramovic, a black belt with over 10 years of experience in BJJ & Grappling, teaches every Monday and Wednesday. Besides this, he will also continue to teach the Tuesday Grappling class at our center location. With these extra classes you can now train BJJ & Grappling 5 days a week with us in Rotterdam. The picture below was taken during the first class at the new academy. I started training Jiu Jitsu when I was 14 years old because I was a little fat and I had long hair so people sometimes confused me for a girl. I was sad with that so I shaved my hair off and I started training Jiu Jitsu like a mad-man. I was already doing Judo but I fell in love with Jiu Jitsu. What are your main titles and which are you most proud of? Brazilian champion and ADCC trials champ. My competition is against myself, it is not against any other athlete or person. I want to prove to myself all the time that I can stop or go back to training and competing anytime I wish no matter how hard it is. Jiu Jitsu made me more responsible and taught me not to leave everyday problems to be solved later. I do everything right away and I don’t give up on my projects. I go all the way, until I make my dreams come true. Cross fit, Fitness and running. What is your opinion about the different rules and federations? I only recognize as federation the CBJJ/IBJJF/FPJJ, the rest I don’t know and don’t want to be a part of. 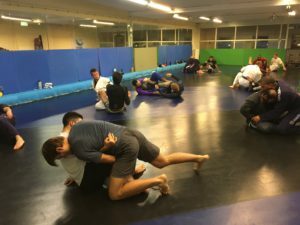 Every year they take more rules from Jiu Jitsu, opening more space for power and less space for techniques. Sports Jiu Jitsu is becoming a very robotic Jiu Jitsu. Do you prefer points or submission only? I like both, but I seek to make points first, control and then try to submit. I do but I get bored with them easily, I always change. I like to create, sometimes I would like to use the same position all the time maybe that would help me in competition. Use few moves but do them very well. How did you manage to handle the injuries? I am religious and I have learned to value the soul than the body. That is why when the body breaks we have to maintain a strong mind, fix the broken body and fight. We cannot let our minds be broken. To me Jiu Jitsu has changed a lot. Like I said before, today we have a robotic Jiu Jitsu or in other words, everybody wants to use the same popular positions. We have a repetitive Jiu Jitsu where everyone practices the same positions. Before it used to be pressure Jiu Jitsu and today we have a jumping around Jiu Jitsu, but I respect the changes and I try to adapt myself and my game to the two styles. Can you give us your view on fighting with or without the gi. Is one more important or do they simply complement each other? I like both styles very much and I think they complement each other. But I believe that no gi favors athletes who are less technical and who use more strength. I think training without gi helps to gain more reflexes and cardio because there is more movement involved and is more slippery. I like to train without the gi when my fingers hurt. Then I can continue training while resting my grips. Whole wheat bread, sweet potato, jelly, bananas, black coffee, BCCA and glutamine. When need carbs before the training and more protein after training. After training I eat meat, eggs, fish, fruits and fruit juices and less pasta after class. Ahh, and I believe a lot in black coffee before training…pure and strong hehe! Do you do any other things specifically to improve your performance in Jiu Jitsu, such as Yoga, Cardio training, Rope climbing etc? I think firstly you should train Jiu Jitsu at least once a day before thinking about any other kind of training. I always advise weightlifting and running. Crossfit is very advanced and a lot of people get injured because they start training crossfit before tey know how to lift properly. My training is almost always the same. I roll for one hour every day, lift weights and run. Maybe because they lose focus? Or they chill out? They are satisfied being a black belt? I don’t know, but to me you either are a competitor or you aren’t. If you are a competitor you never stop. You can compete less, but you’ll always try because it’s in your blood. Those have always been my training partners, sometimes there’s no need to be famous. Just be the one putting effort and help every day! To be the same person on and off the mat. Respect the students and teachers. Value your family, dedicate yourself, know how to lose as well and do everything with a lot of love. James Verschuur has been a black belt for some time now, keeps on evolving and is quite busy teaching in Den Haag. Check out the interview below for some of his thoughts. I started BJJ because of my older brother (Aron Verschuur, Gracie Barra black belt) He used to show me armbars and leg locks. My background is Karate (Kyokushin) and I also did cross train with Judo and still whenever I can go to a judo class. I think motivation is just a tool to reach whatever goal you want to achieve within BJJ. My goal was to become better and to help others. Well it helped me in many ways but to mention the most important one to me I would have to say the importance of balance/ equilibrium. I like playing the drums, and listening to music. I think both have their places. You have to train for both so it could keep things fun. As a competitor, I think the rules should not matter as long as your training. I like passing and chaining positions ( pass, side, back-take). Reason I like passing is because I am stocky and some what heavy so it works good for me and the reason I like chaining positions is because it builds good timing and accuracy. After a lot of trial and error treating my injuries, because I went to train even after I was warned not to do so, I think the best is to sit it out and listen to your doctors/therapists. Listening is a key part of learning!!!!!! BJJ is developing very fast and never gets boring!!!! I don’t have a preference in between oldschool and newschool I like mixing techniques as long as they work. When I understood the principle of weight distribution. What is your favorite pre-/post training meal? Pre training meal always a banana and post training Re-Con by MusclePharm. I do some specific strength and conditioning trainings but mostly a lot of drilling and sparring. I haven’t been competing but if so, I would drill and roll a lot. Ronaldo Jacare Souza, Leo & Ricardinho Vieira,Marcelo Garcia, Augusto Ferrari, Rodolfo Vieira, Leandro Lo and Master Barbosa. Be smart and think outside the box. 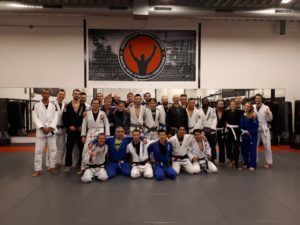 Report from the seminar with BJJ Champ Mauricio in Amsterdam. This week Team Agua once again had the pleasure of attending a seminar from Mauricio Cristo! For those of you that do not know him: Maurico Cristo is a BJJ black belt and super heavyweight from the Cicero Costha team in Sao Paulo. This team is famous for it’s many champions such as Leandro Lo and the Miyao brothers. 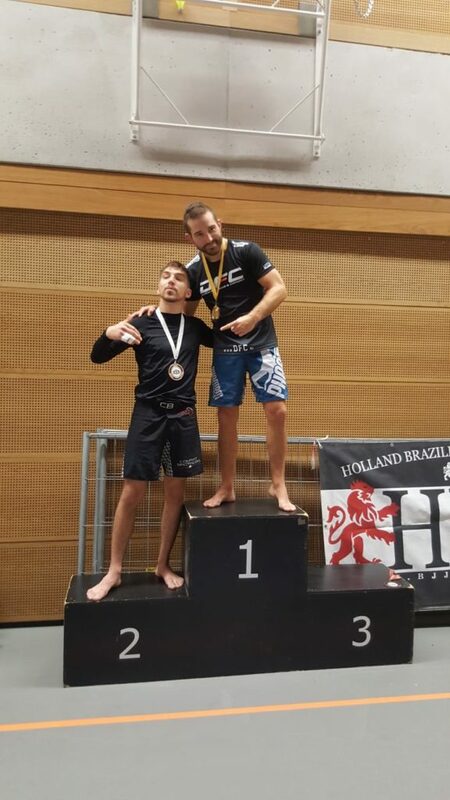 Mauricio is the current European No Gi champion and also a two time CBJJE world champion. He currently teaches and trains out of Abu Dhabi in the UAE. 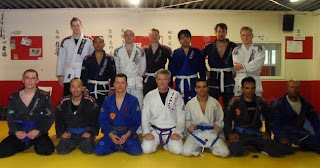 I attended the seminar in Amsterdam. 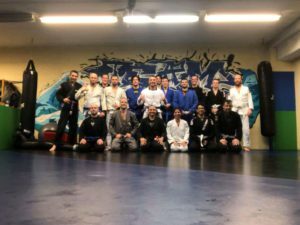 The evening started with a really cool surprise: Mauricio brought along two Brazilian black belts that he trains with in Abu Dhabi to assist him with the seminar. We started with a short but effective warm up and then got into the techniques. 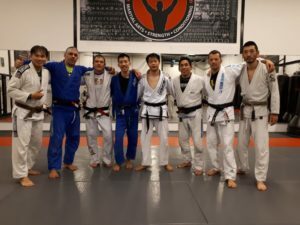 I am always amazed how the learning in BJJ is endless: These high level practitioners can show you completely new techniques, or new details that will make all the difference to a technique that you (mistakenly) thought you knew already. This evening was no exception. We started with a super effective knee slide pass from De La Riva, a pass similar to the passes that you might see Leandro Lo do in his fights. After that it was time for some submissions; chokes from the top half guard and from the top knee shield position. Mauricio gave us some really good pointers and details here that even the most experienced of us did not know. He then followed up with a variation of the good old over under pass after which we did a variation of the Estima foot lock as a counter to the Lasso guard. Crazy stuff! By then my head was spinning from so many details. Luckily it was time to spar! As there were three visiting black belts on the mat everyone had the chance to roll with one of our guests! This was the fourth year in a row that Mauricio visited us and once again he pulled of a great seminar. Thank you professor Mauricio Cristo. Can’t wait till the next one. Osss! Maurico Cristo, upcoming BJJ champ, will teach a seminar tonight in Amsterdam! 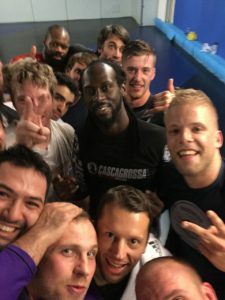 Here’s an interview with Maurico Cristo an upcoming BJJ champ, who will teach a seminar tonight in Amsterdam! I started because a friend of mine invited me to do 1 class just to try, I liked it right away. 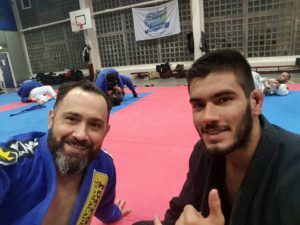 I`m currently training in Abu Dhabi where I live and teach I have many partners who help me a lot to get in shape for the competition and my professor Cicero Costha who motivates me mentally all the time,I training grappling twice a week and thats all. I`m World Champion Brown and Black Belt by CBJJE in Sao Paulo Brazil third place at the Europeans Open Weight and Super Heavy champion of the Munich Open IBJJF and European No Gi Champion IBJJF. I`m proud of all my titles. My biggest dream is to become World Champion by IBJJF. Jiu Jitsu changed my life completely; the way I treat people, my education and personality how I conduce my life it’s all because of jiujitsu. I like to play video game (UFC), and I love to spend time with my dog, wife and my friends. The rules change every year which is good because they are trying to make the sport better, but about the federations I think they should think more about the athletes. Which are the guys who give the show. The UAE federation (Abu Dhabi Pro) they give prize money in every competition and this motivate the competitors, I prefer points and submission but when you play against top level guys points makes the difference. I’m a bit flexible so I like to play spider guard and x-guard a lot since I`m purple belt I think because of my partners trainers like Leandro Lo, Paulo Miyao, Yago,Augusto Ferrari and many other good guys. Injuries happen a lot but I never had a serious one only normal so for me is difficult to talk about that. I`m from the new generation I have only 8 years of jiujitsu so I love the new school but my professor is old school so if you combine both is perfect. Any tips for beginners? What should beginners focus on ? i think they should focus on basic positions and try to do a lot of competition and keep your ego outside of the mat. Thats my advice. Can you give us your view on fighting with or without the gi. Is one more important or do they simply complement each other? For me GI is much more technical than NO GI but definitely they complement each other. What were the most important revelations in terms of understanding the game and how did they improve your skills? I think the first thing that you have to understand is which game you have or which one you like to play from there you start to work on the techniques but basically the most important revelation that I have is try to understand your jiu jitsu try to find the mistakes in every training and then you will improve your skills. Pre training I like something light as a fruit or a shake. Post training food that was lots of carbs like pasta or if on the diet rice with salad. Do you do any other things specifically to improve your performance in Jiu Jitsu, such as Yoga, Cardio training, Rope climbing etc? I do only jiu jitsu. I drill a lot, that’s my cardio and I do a lot of rolls. Specially when I`m tired in the end of the training and to improve even more my cardio I like to drill in the beginning of the class and in the end to get exhausted. How is your training preparation for a tournament? I train every day twice a day; one training I do drills and specific sparring and the second training drills and sparring. I train around 4-5 hours per day. Why do most practitioners choose to not do tournaments after earning their black belt? I think because of the level is very high and sometimes you get demotivating or some guys are injury it depends on what your goal is. You know, sometimes the guys he just want to be a black belt a good professor, the best professor is not the best competitor and the best competitor is not always the best professor so it depends on your goal. What are the most important things to make you a good fighter? Be humble, no ego, keep the focus and train really hard. Yasmin will spread BJJ from Amsterdam to Abu Dhabi! Yasmin Sewgobind, who has been training with us in Amsterdam for over 10 years, will head to Abu Dhabi to spread the art of BJJ. Below you find a pic taken after her last class before travelling. Good vibes! 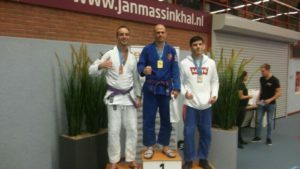 3 Europeans BJJ medals taken home to Amsterdam! Kelly Kilarcyan and Chango Eersel flew from Amsterdam to Lisbon to compete at the annual Europeans Open BJJ. This was the biggest BJJ competition ever with almost 3500 competitors! Their preparation paid off they flew back to Amsterdam with 3 medals: gold, silver and bronze. Kelly fought at blue belt and had three fights winning one by submission,, one by points and one by advantage. Eventhough Chango came home with two medals, the outcome could ‘ve been even better. In his weight and open he lost on referee’s decision after a tied figth (0-0). Nonetheless, silver in his weight and bronze in the open, being the only lightweight there! Flavio Silva, originally from Sao Paulo, has been a BJJ brown belt for a very long time and it was about time he got upgraded to black belt. 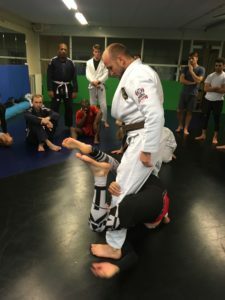 Flavio is an assistant instructor who can be found sharing his knowledge on the mats at our schools in Amsterdam on Tuesday, Rotterdam on Thursday + Saturday and Den Haag on Monday. He is known for his lasso guard and his kimura finishes. Competing for a ticket to go to Abu Dhabi to fight in the World championships, Jesmine lost her fight in the finals by a referee warning in the last 20 seconds while ahead on points. No ticket, still silver though. Chango got 1st in his weight class and third in the Open. Our white belts beat several blue belts resulting in gold for Robert Wijtsma and bronze for Falko Evers. Jesmine Latrach from Team Agua BJJ Amsterdam brings back gold from Belgium. Team Agua best team at Holland BJJ Open! 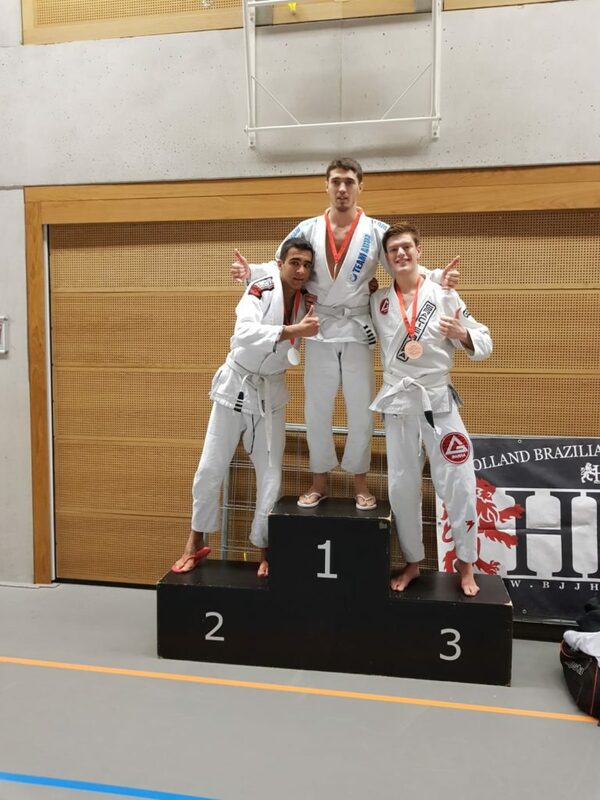 Competitors from our academies of Amsterdam, Rotterdam and Den Haag went to the Holland BJJ Open. They did great winning lots of medals, resulting in the best team title! Team Agua competitors went to the Holland Grappling Open in Den Haag (Rijswijk). We won several medals. 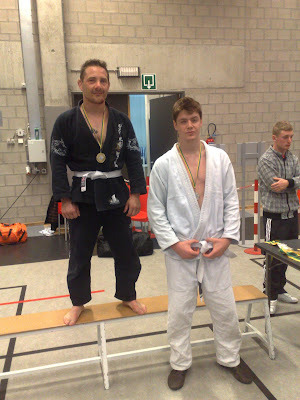 Patrick Asscher who trains with us in Amsterdam, was one of the stand outs winning gold in the Advanced division. Patrick from Amsterdam with the decisive take down in his grappling finals. 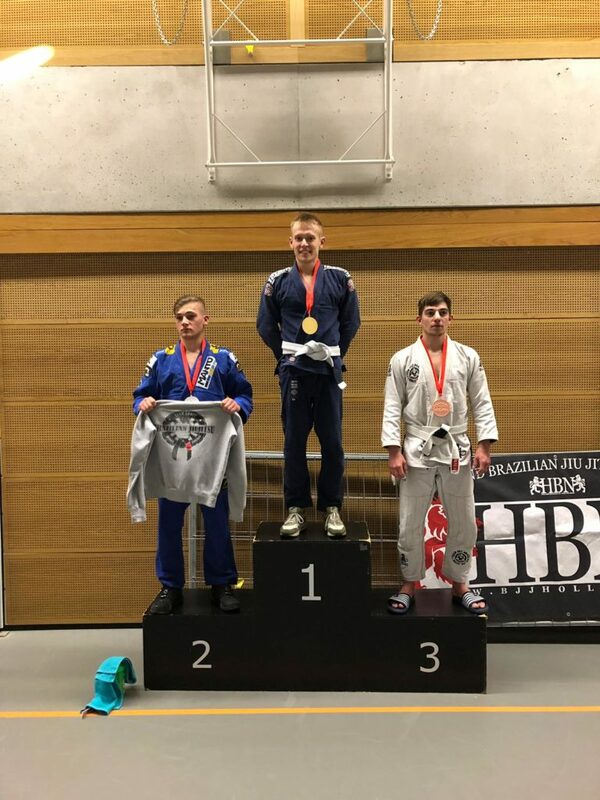 Andy Siebert got third place at the Europeans BJJ. Andy teaches the Saturday BJJ class of our team in Amsterdam. 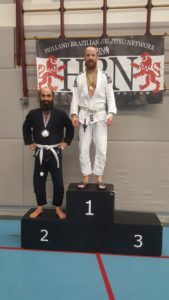 Andy, BJJ teacher at our academy in Amsterdam, after his win in Lisbon. 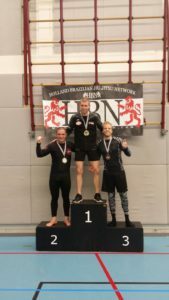 Holland Grappling Open – preparation starts next week ! After the Europeans of BJJ at the end of January, this will be our next goal; Holland Grappling Open ! 2013 is done and it has been a very good year for our team. 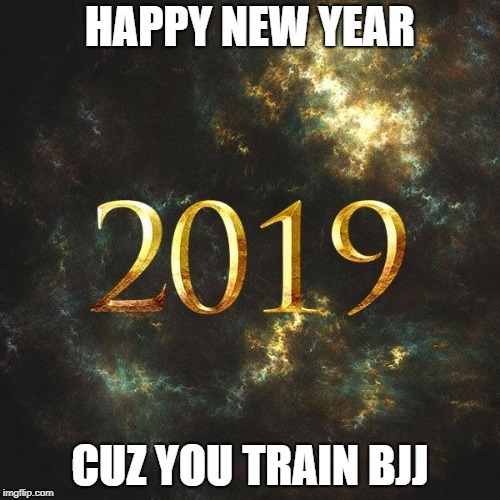 2014 is ahead and we invite you to come train Brazilian Jiu Jitsu (BJJ), Grappling or MMA at one of our schools in Amsterdam, Den Haag or Rotterdam. 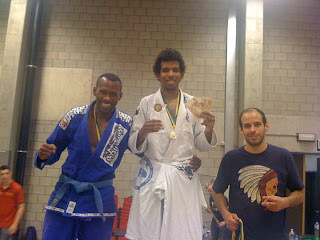 Once more Team Agua took the Best Team price at the Amsterdam BJJ Open. End of year graduation at our schools in Amsterdam, Rotterdam and Den Haag. 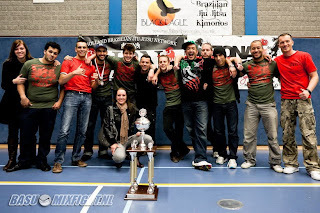 Team Agua best team at Den Haag Grappling Tournament 2011! Clifford Edwards brings back medals from Brazil! Team Agua won de titel van beste team op het Amsterdam Grappling Tournament. Henk Heneweer wint de Brittish Open! Clifford Edwards wint de Abu Dhabi Trials UK ! 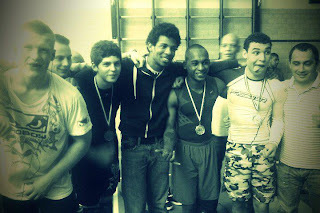 Team Agua won the best team title at the Amsterdam Grappling Tournament. Henk Heneweer wins Brittish Open! Clifford Edwards wins Abu Dhabi Trials UK ! 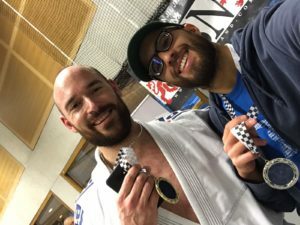 Team Agua wint goud en zilver op het EK BJJ ! 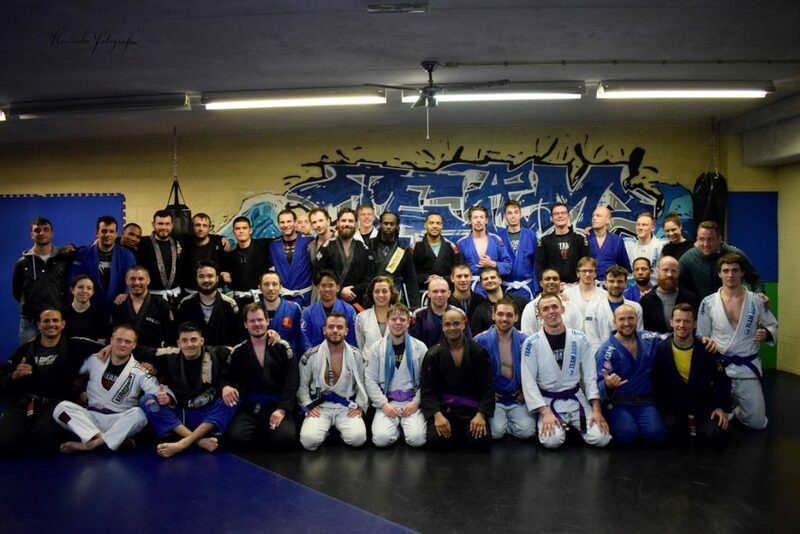 Team Agua ging met een groep BJJ leden van onze school uit Amsterdam en Den Haag naar Portugal om mee te doen met het EK BJJ. Nieuwe paarse band BJJ bij onze school in Den Haag! Team Agua wins gold and silver @ the Europeans BJJ! 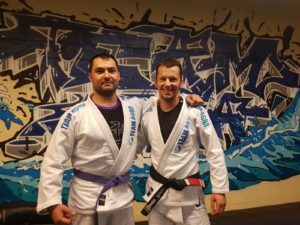 New purple belt BJJ at our Den Haag school! Extra lessen in 2011 op alle locaties! Team Agua wishes you a happy 2011!! 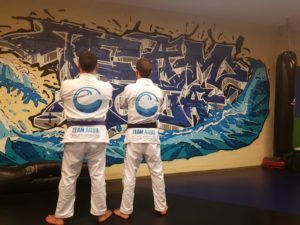 Nieuwe paarsen & blauwe banden BJJ in Amsterdam ! Chris Arends is de nieuwste TA bruine band BJJ! 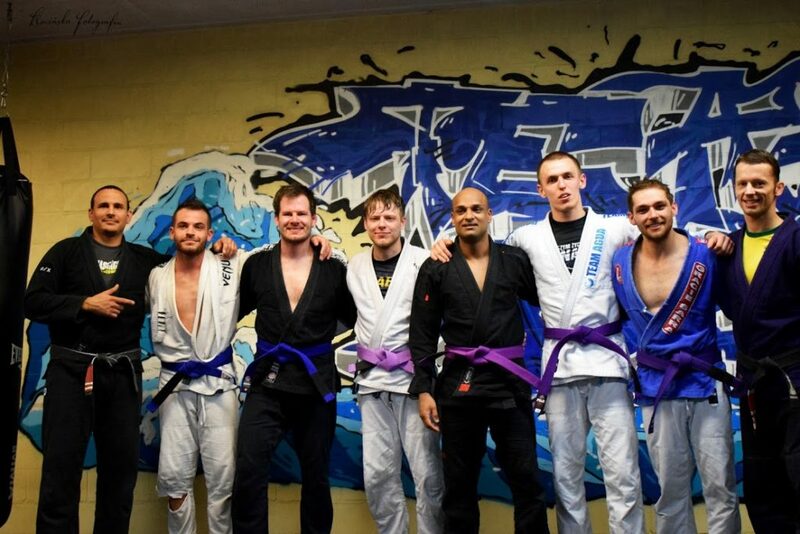 New BJJ purple & blue belts @ Team Agua Amsterdam! Chris Arends is the newest TA brown belt! Chris Arends, long time member of Team Agua received his brown belt during his last training in Holland. Team Agua beste team @ Holland Gi Challenge ! 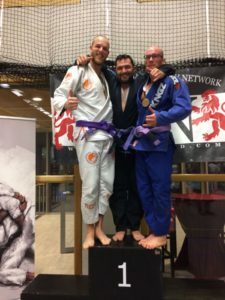 Team Agua wint goud op het EK BJJ ! 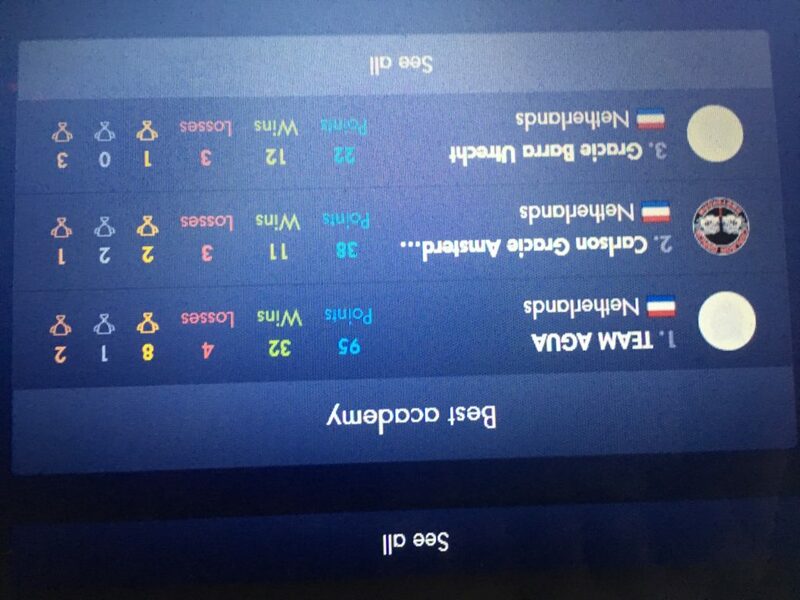 De jonge leden van Team Agua winnen in Belgium! Team Agua weer beste team op de Amsterdam Open 2009! 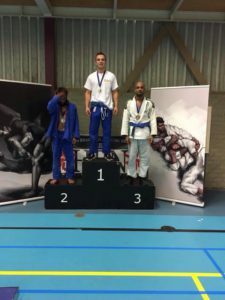 Jessie Gibbs ontvangt zijn zwarte band BJJ van Barbosa! Team Agua wint in Denemarken! 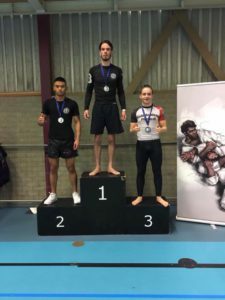 Thijs Heutinck wint Europese Amateur Shooto Cup! Team Agua doet mee aan de Limburg Open in Belgie! Graduatie @ Team Agua. Farid is zwarte band!! Team Agua is Beste Team op de Holland Gi Challenge! Rene Hoekstra wint brons op het EK! Team Agua is Best Team @ Amsterdam Open! Gele banden voor Team Agua/Kaishin kids! Remco van Baardewijk geeft seminar in Baarn! Jessie Gibbs wint in M1 Gran Canaria! Bernardo Pitel gaf les bij Team Agua. 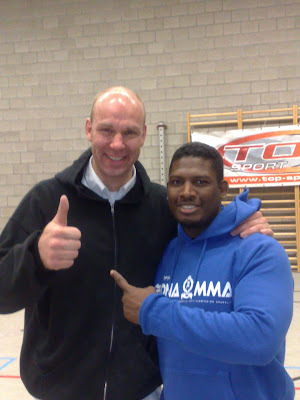 Remco van Baardewijk traint met Cadu in de VS.
Jessie Gibbs (Team Agua) wint MMA match op choke! Remco van Baardewijk Europees Kampioen 2008 ! 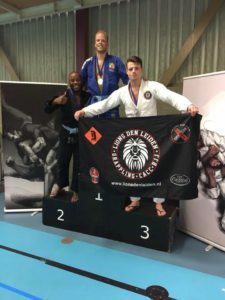 Augusto Ferrari en Henk Heneweer gingen naar Ede om mee te doen aan het NK Grappling. 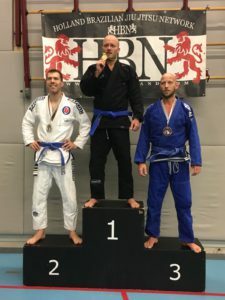 Enkele leerlingen van TA hebben een hogere graad binnen het BJJ ontvangen. 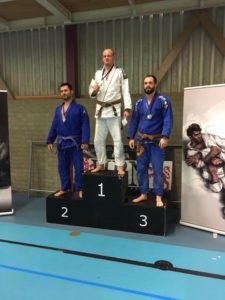 Henk (paarse band BJJ) wint Bronze op de British Open! Thijs and Melvin win their MMA fights! 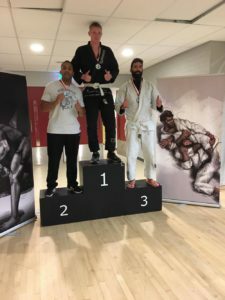 Henk wins bronze at Brittish Open! 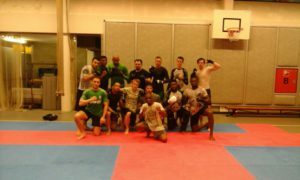 MMA training in Den Haag with Jessie Gibbs. Team Agua Best Team at Holland Gi Challenge ! Team Agua wins gold at Europeans! End of the year group dinner. Young guns from Team Agua win in Belgium! Team Agua best team again at the Amsterdam Open 2009! Jessie Gibbs receives his black belt from Barbosa! Team Agua wins in Denmark! Thijs Heutinck wins European Amateur Shooto Cup! Graduation @ Team Agua. Farid got his black belt!! Team Agua is Best Team at the Holland Gi Challenge! Rene Hoekstra wins Bronze at the Europeans! Remco wins Grappling fight in the ring. Team Agua is Best Team at the Amsterdam Open! Yellow Belts for Team Agua/Kaishin kids! Team Agua wins at Brabant Open. 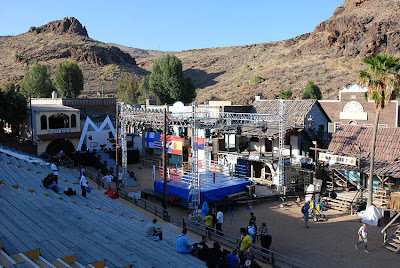 Jessie Gibbs, a Team Agua brown belt, fought at M-1 in Gran Canaria. After dominating the stand-up he took his opponent down, passed the guard and submitted with a kimura. Next month he will be fighting in Japan. 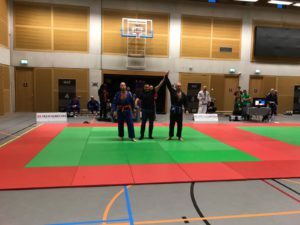 Marc Stappers, a blue belt from Team Agua and also a Judo black belt, went to compete at a Judo Ne Waza (groundfighting) tournament. He won gold in his division and showed his Jiu Jitsu to the Judo guys. We went with a group of fighters to the tournament and won 5 medals. Omar & Kevin got 3rd place. Jason got 2nd after winning 6 fights! Remco got 1st after winning 5 fights. Keng coached everybody and afterwards took some of the guys to have barbecue. 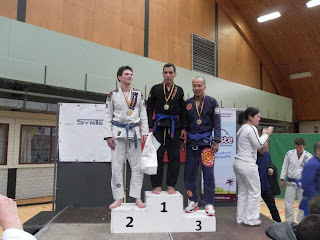 Stephan, Peter and Chango went to Belgium to compete at the Limburg Open. Stephan got 2nd, Peter got 2nd and Chango got 4th place. Congrats guys! 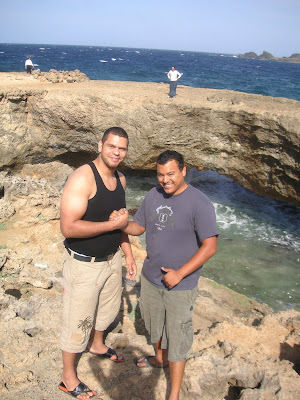 Jessie went to Aruba for vacation and also gave some classes and a seminar. In the picture you can see him enjoying the beach. Team Agua best team at the Zona No Gi Cup!! Sunday April 20th the Zona No Gi Cup was held in Amsterdam. Team Agua scored the most points and was the best team!! 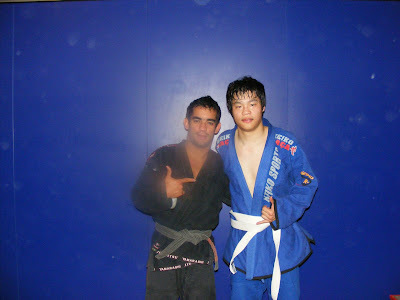 Right now Team Agua is training a lot without Gi to get ready for the Zona No Gi Cup. Bernardo Pitel, World & Brazilian Champion, stayed a couple of days in Holland teaching classes with our team in Amsterdam & The Hague. This is a picture of Bernardo and Marco, taken after training in Amsterdam. Remco van Baardewijk trains with Cadu in the US. Before the Pan Ams in Los Angeles Remco stayed some days training with Cadu. In the picture: Remco, Yasmin and Cadu. Remco was in San Diego and trained with Xande Ribeiro, a great experience! Remco van Baardewijk won gold at the Pan Ams Jiu Jitsu Championship held last Friday in LA. His opponents were not able to score any point on him. 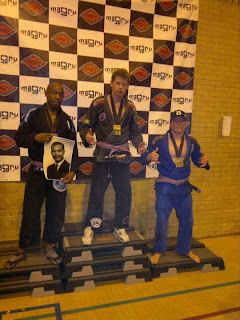 Remco is fighting at the Pan Ams aswell, after taking two gold medals at the NAGA championships gi and no gi. Well done man and good luck at the Pan 2008!!! Pictures and more news will follow soon. March 28th, 29th and 30th 2008, in Carson, California, CA. Held annually in the United States since 1995, the Pan Championship represented the first step towards the internationalization of Brazilian Jiu-Jitsu as a sport. Back then, in the first event, a group of almost 250 athletes took part in the pioneering and historical enterprise. A lot has changed since then. The tournament has grown tremendously and has achieved recognition as the biggest Brazilian Jiu-Jitsu competition in North America and as one of the most important events in the world. Currently the Pan attract athletes from all corners of the planet and it grows a bit more every year. In the latest edition of the tournament, held in the city of Carson, California, 1700 competitors signed up. This incredible number set a new record for the event. The Pan Championship is held by the International Brazilian Jiu-Jitsu Federation, a governing body directly connected to the Brazilian Condeferation (CBJJ). In order to fulfill its role in the expansion of BJJ, the Pan have been held in many different regions of the USA, boosting the practice of the sport in important centers such as Los Angeles, Miami, Orlando and even Honolulu, in Hawaii.